20120223 + Up and at the desk all day, boiling down sap on the side. Finished up work and to the garage with D trying to finish up the tool table. 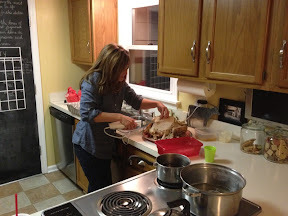 L cooked her first turkey ever tonight for dinner and we are all stuffed!